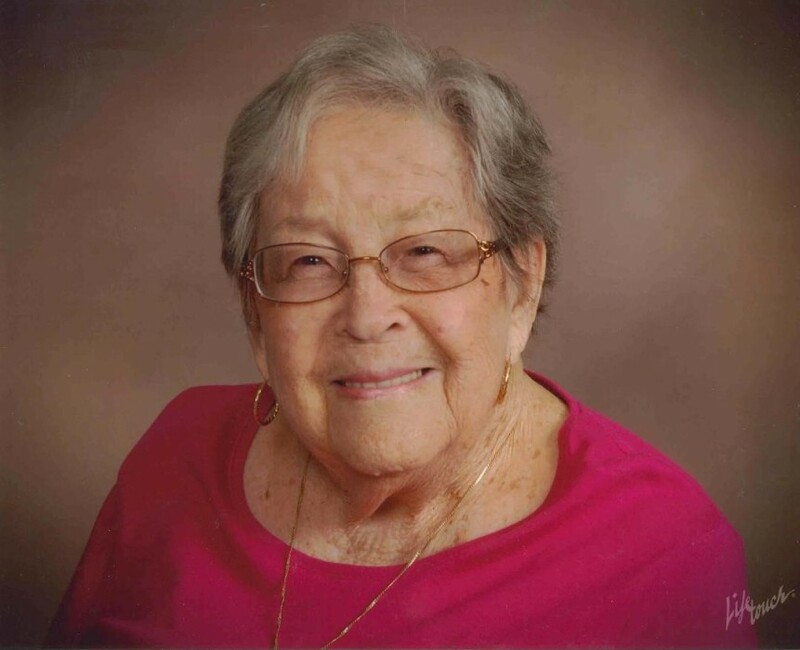 Fern “Alline” Finocchiaro, nee Earney, of Steelville, Missouri passed away Tuesday, February 5, 2019 in Sullivan at the age of 96 years, 10 months and 10 days. Alline was born March 26, 1922 in Wesco, Missouri to parents, Treff Olden Earney and Mary Myrtle Edwards Earney. She was united in marriage to Isadore “Sody” Finocchiaro in St. Louis in June of 1949. Alline worked alongside her husband, Sody, in their tavern in St. Louis and later was employed at the St. Louis city collector’s office as a clerk and retiring from that position. Later in years, she returned back to her home area, Steelville in 2008. Alline was a member of St. Ambrose Church in St. Louis and later was a faithful member of St. Michael Catholic Church in Steelville. She was a member of the Happy Hour Extension Club and a volunteer of the Steelville Food Pantry. Alline always enjoyed cooking for her family. She was preceded in death by her parents, Treff and Mary Earney and second mother, Norma Lee Gilmore Earney; husband, Sody Finocchiaro; daughter, Patricia Naum and husband Louis; son-in-law, Danny Gruver; one sister, Vivian Barr and husband Jack; sister-in-law, Edna Earney; and brother-in-law, Dusty Frank. She is survived by her daughter, Rosemary Gruver of Steelville, MO; one step-son, Joseph Finocchiaro and wife Patricia of St. Louis, MO; three brothers, Robert Earney and wife Olga, Treff Earney and wife Sandy and Lloyd Earney and wife Charlotte all of Steelville, MO; two sisters, Hester Sanders and husband Howard and Esther Lee Frank all of Steelville, MO; 10 grandchildren; eighteen great-grandchildren and thirteen great-great-grandchildren; nieces, nephews; other relatives and many friends. Funeral Mass was held at 11:00 a.m. on Monday, February 11, 2019 at St. Michael Catholic Church in Steelville, MO with Father Henry Ussher officiating and Rev. Jerry Beers reading the obituary. Music was provided by Karin West playing and singing "You are Mine", "On Eagle's Wings" and "Jesus Remember Me." Other music of "How Great Thou Art" was sung by Rev. Jerry Beers with Karin West as organist. The Lector for the service was Larry Howdeshell, Jr., with Jim and Agnes Cain as Extraordinary ministers and Louis Werner serving at the altar. The Family chose cremation as the final disposition.